Introducing the Epson WorkForce WF-2860 all-in-one printer powered by PrecisionCore - the full-featured, high-quality printer that is ideal for your home office. Epson PrecisionCore technology with genuine Claria ink delivers laser quality performance with crisp black text for professional quality proposals, reports, and brochures. Its compact, space-saving design makes it the perfect fit for your office. It drives productivity with its 150 sheet paper tray plus a convenient 30 page auto-document feeder for efficient copying and scanning. Ink management is simple with affordable individual cartridges that allow you to only replace the cartridge that runs out. Enjoy easy navigation with its 2.4" color touch screen. The WF2860 features auto 2-sided printing which can help reduce your paper consumption. It makes mobile printing easy from your phone or tablet and allows for network free printing via wi-fi direct and NFC touch to print capability plus Ethernet. It helps you get through tasks more quickly with fast print speeds. And it does all this while consuming less power, up to 70% less power than laser printers. Packed with productivity features, the Epson workforce WF-2860 delivers high quality results and powerful performance to your home office. Epson, exceed your vision. When you need professional quality printing in your office, look no further than the Epson WorkForce printer. It's all-in-one design can print, scan, and copy while taking up minimal room in your busy work environment! 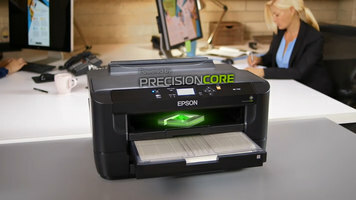 Provide professional-quality printing in your office with the Epson WorkForce Pro WF7110 PrecisionCore printer! Watch this video to learn about the benefits it has to offer for your business. 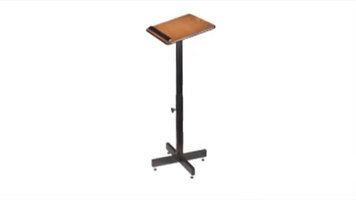 The Oklahoma Sound portable presentation lectern is a practical and convenient lectern for various presentation applications! With an adjustable height and 4 color options, you'll have no trouble finding the perfect one for your facility. 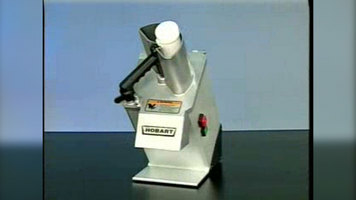 Learn how to operate, clean, and maintain Hobart FP100 and FP300 food processors by checking out this quick video!